Pope named after Francis of Assisi heralded by "gull"
The dove has traditionally represented the Holy Spirit but it was a bird with a rather less divine reputation that heralded the name of the new pope. 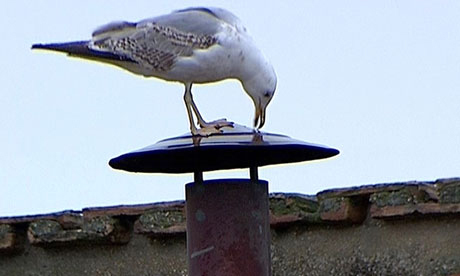 As the crowds massed in front of the Vatican, a seagull alighted on the chimney from which smoke billows to indicate the outcome of the papal ballot in the Sistine Chapel below. The newly appointed pontiff, the Argentinian cardinal Jorge Mario Bergoglio, will take the name of Pope Francis, after Francis of Assisi, the much-loved Italian patron saint of animals and the environment who is often portrayed with a bird, usually in his hand. 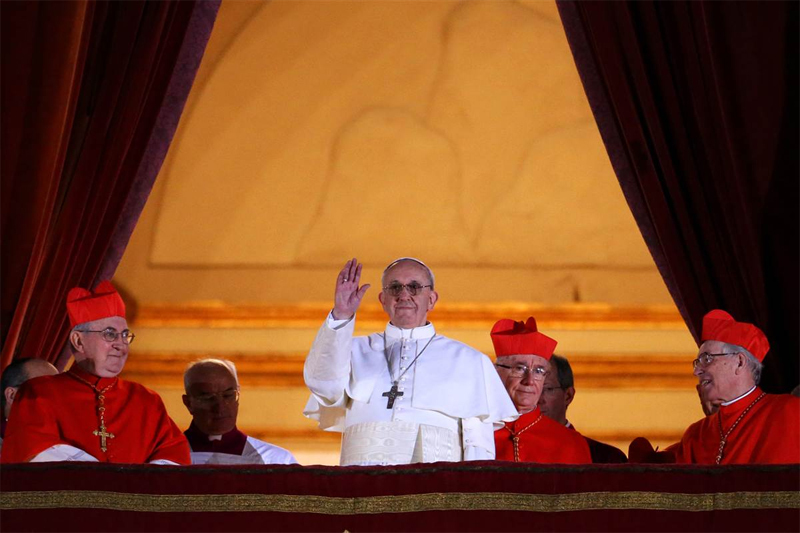 "The name the new pope chooses tells a lot about the thrust of his papacy," said Ambrogio Piazzoni, a church historian and vice-prefect of the Vatican library. 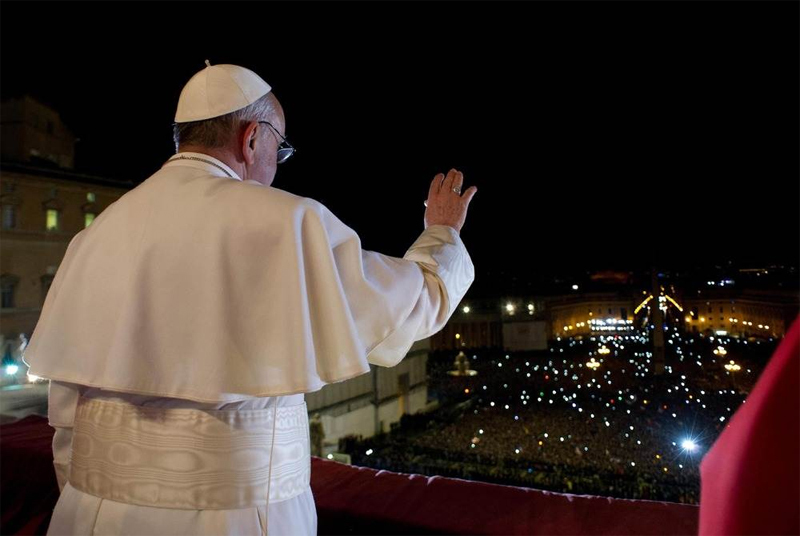 Argentina's Jorge Bergoglio, elected Pope Francis waves from a balcony of St. Peter's Basilica's after being elected the 266th pope of the Roman Catholic Church on March 13. The best known tale about Saint Francis's love of nature is recounted in the Fioretti (Little Flowers), a collection of legends and folklore. The story says that while he was travelling with some companions, they came upon a place in the road where birds filled the trees. Francis told his companions to wait for him while he preached to his sisters the birds, which flocked to him – supposedly attracted by the power of his voice.The saint, a rich young man from the town of Assisi in Umbria who renounced wealth and founded the Franciscan order of friars in 1290, is also identified with peace, poverty and a simple lifestyle, which is in keeping with the current period of recession and austerity. The choice could foretell the pope's priorities in striving to bring a sense of serenity to the troubled church. Francis is said to have been called by God to repair a church in ruins. Choosing the name of one of Italy's patron saints also ties the new pope to Italy, the homeland of all popes for 450 years until 1978. 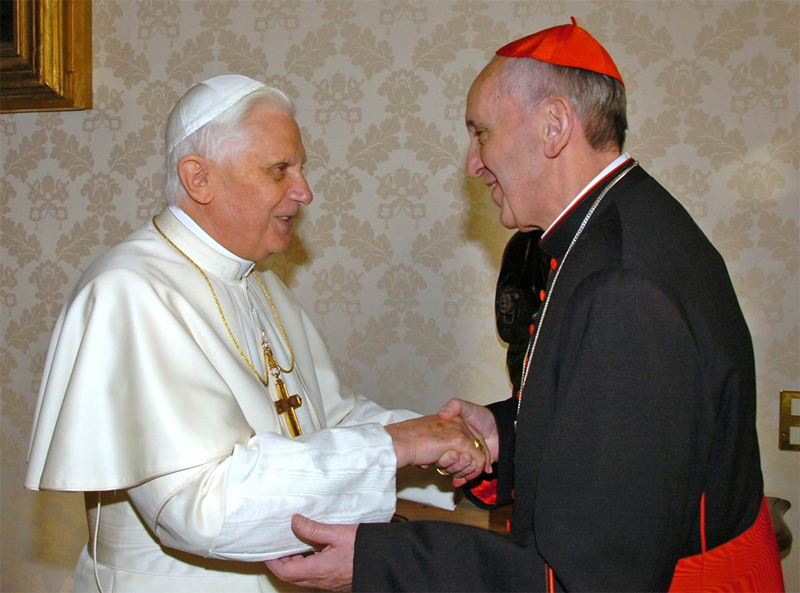 Bergoglio is Pope Francis I. The last pontiff to take a new name rather than one that honours a predecessor was Pope John Paul I, 35 years ago. The previous pope Benedict XVI said he had chosen the name in order to follow the example of the early 20th-century Pope Benedict XV, who led the church through the first world war and its aftermath. When he became pope in 1978, Karol Wojtyla chose to keep the name of his immediate predecessor, John Paul I, in deference to the earlier pope's short-lived papacy. John Paul II had also reportedly considered Stanislaw, in homage to the patron saint of his native Poland. Until the first millennium, popes were called by their first names. The exception was the sixth-century pope John II, who decided his actual name, Roman Mercurius, was unsuitable with its association to a pagan deity. Giuseppe Roncalli, who succeeded him almost a millennium and a half later, opted to become John XXIII because the church in which he was baptised in the small town of Sotto il Monte in northern Italy bore the name of John the Baptist. Over the 2,000 year history of the church the most popular name is John followed by Gregory, and Benedict. One name remains a definite no go because it lies beyond the boundaries of spiritual and temporal modesty, Peter II.